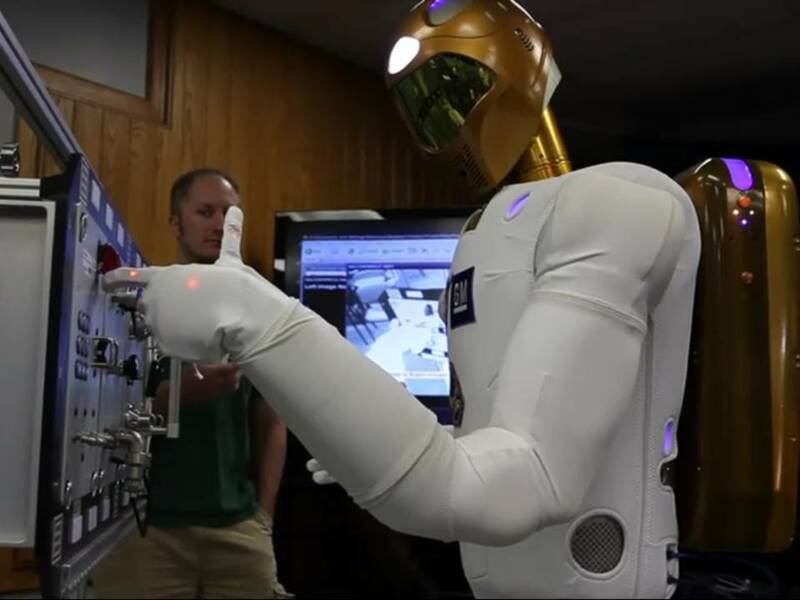 INTERNATIONAL SPACE STATION — About 264 miles above the Earth, Robonaut 2, the dexterous humanoid robot developed by General Motors and the NASA Johnson Space Center, has finally begun its first mission. R2 has been packed aboard the space shuttle orbiter Discovery since fall 2010 and was originally scheduled to go into space in early November. The final launch of Discovery on Thursday was delayed by a combination of weather and technical issues with the orbiter. Docking with the International Space Station is expected to occur Saturday. Just days before Discovery lifted off from the Kennedy Space Center in Florida, R2 won the “Robot of the Year” award from the popular technology website Engadget.com. R2 captured nearly 44 percent of the votes from the site’s readers, ahead of five other contenders. Before R2 begins regular duties alongside the astronauts, it will go through a period of testing and further development. A twin to the robot on the ISS remains at the Johnson Space Center in Houston, where engineers are refining its sensing and control systems. Along with R2, a rack with a variety of interchangeable task boards was shipped to the ISS. The astronauts and engineers will evaluate R2’s performance in a range of simulated tasks while operating in the microgravity environment of space. Based on the data measured on the orbiting station, the engineers on the ground will provide updated software and hardware. R2 will remain aboard the ISS indefinitely and if all goes well, it will eventually be used to perform mundane maintenance and service tasks. Upgraded versions of R2 could eventually perform space walks.